10:10 is about doing practical stuff that helps tackle climate change. We take a collective approach that turns individual actions at a local level into a force for bigger changes. From riding a bus to re-powering a village, our projects bring people together to help build a better world. 350.org works in almost every country in the world, leveraging people power to dismantle the influence and infrastructure of the fossil fuel industry, and to develop people-centric solutions to the climate crisis. In the UK 350.org is a lead partner in the fossil fuel divestment movement and Fossil Free network. Cambridge Carbon Footprint involves, informs & inspires a wide range of people in the Cambridge area with practical activities and support to make big, permanent reductions in their carbon footprints - based on understanding what helps people change their behaviour and moves us collectively towards a low carbon society. Our Carbon Conversations, a series of engaging meetings focus on values, emotions, lifestyle and identity as well as the basic facts of climate change, leading to many participants halving their carbon emissions. The CCC exists to secure the action we need - at a local, national and, above all, international level - to minimise harmful climate change and the devastating impacts it will have. To that end the CCC seeks to raise awareness about the gravity and urgency of the threat from climate change and to influence those with the greatest power to take effective action to do so with the utmost speed and resolution. Cap & Share is a way of capping carbon, an alternative to Cap & Trade, carbon rations, or carbon taxes. Cap & Share is fair, simple, practical, effective, cheap, easy and empowering. It is not a tax - it puts us in charge, and it protects the poor. Don't let anyone tell you "it's not that simple". It is. We need to act quickly and decisively, and Cap & Share stands ready as an example of how to do it. The Centre for Alternative Technology (CAT) is an education, research and visitor centre demonstrating practical solutions for sustainability, inspiring, informing and enabling people to achieve positive changes in their personal and work lives and within their local communities. Citizens’ Climate Lobby UK is a non-profit, non-partisan, grassroots advocacy organization, one of some 300 chapters of the global movement begun in the US in 2007 and endorsed by George Marshall, Nicholas Stern, James Hansen, and Bill McKibben (350.org), among others. CCL trains and supports volunteers to engage elected officials, the media, and the public, in order to generate the political will to enact a Carbon Fee and Dividend policy. Working in partnership with the people, organisations, schools and businesses of the Bradford on Avon Community Area, Climate Friendly Bradford on Avon is embarking on an ambitious journey to become carbon neutral by 2050. Climate Outreach and Information Network (COIN) is a charity formed in 2004 to directly engage the public about climate change through the use of innovative action learning methods and by assisting people to communicate their own messages to their peers. CPA is a forum for psychological therapists and others seeking insight into the problem of human engagement with our climate and ecological crisis. We seek to foster awareness of denial as a defence against threatening information, through understanding of the harm already done and of future uncertainty. We are Columban priests and lay missionaries and Peace and the Integrity of Creation. Climate Change is a priority issue and is seen as a challenge to be missionary in the 16 countries where Columbans work. Our motto is “Saving the planet from the bottom up!" Croydon Real Nappy Network promotes modern reusable nappies in the Borough of Croydon by providing impartial information and advice about using washable nappies to prospective and existing cloth nappy users. The Derby Climate Change Coalition is a campaigning group that brings together a wide range of organisations and individuals, who support and want to take part in activities that inform, influence and raise awareness about the effects of global warming. We know the Earth is our only home so wrecking it doesn't make sense. The wellbeing of people and planet go hand in hand - this has always been the inspiration for our campaigns. Friends of the Earth Scotland is Scotland’s leading environmental campaigning organisation, and an independent Scottish charity with a network of thousands of supporters and active local groups across Scotland. GlosCAN is a group of citizens in Gloucestershire who is extremely concerned about climate change and the impact on current and future generations and believe climate change is a non-party political issue. Ordinary Christians, Extraordinary Times: Green Christian (GC) believes we are responsible for our impact on God's creation and whole earth community and to lessen our impact on the earth and live more joyously on it. Internuncio tells from the perspective of those affected, the personal stories of people already experiencing the social implications of climate change. Based on scientific and observed findings, Internuncio is currently producing documentary films and photo-reports which intend to bridge the gap between scientific knowledge and social awareness. Putting a human face to the effects of climate change, our objective is to increase dialogue and understanding. The Islamic Foundation for Ecology and Environmental Sciences (IFEES) is a UK registered charity operating internationally, through programmes designed to increase knowledge and awareness, alleviate poverty, combat climate change and deal with other major environmental issues. It collaborates with government bodies, local authorities, NGOs, scholarly and academic institutions, to develop an Islamic science of natural resources management, implement sustainable projects, produce training material and conduct training in key locations. Debt, trade, pollution, biodiversity, resource depletion, water scarcity, food security, poverty, climate change… The number of big issues just keeps on growing, threatening our children’s futures and the lives of the most vulnerable people on the planet. That’s why we’re here. Tidal works to support, coordinate and grow global activism in Leeds. We believe that strong, diverse and united grassroots movements are vital to sustainable change, and it’s our mission to help global justice activists in this city be as effective as they can possibly be. Northfield Ecocentre is a Midlands based charity offering practical, inspiring ideas and advice on how to green up your lifestyle. We run a wide range of activities, workshops and events across a variety of themes including energy saving, home energy makeovers, organic gardening, sustainable transport, tree planting, recycling and much more. The OneClimate team focuses on supporting the climate movement, as an essential component of the work of the OneWorld Group. We are focusing our role more sharply now on pioneering media tools to support the climate movement. And that's what OneClimate is. We are innovating new tools and platforms that make it easier for us all to share information, actions and experiences with one another, to help us hang in there and keep moving forward. One World Week offers opportunities for people and organisations to come together at local events to explore how they can work together to build a more just, peaceful and sustainable world. OWW, working with partner organisations, mobilises local volunteers to organise events where people of diverse backgrounds can: acknowledge our interdependence; raise awareness of global inequalities and injustice and inspire action to increase equality, justice and sustainability, locally and globally. One World Week is around United Nations Day (24 October) but activity can take place at any time. OWW’s website offers opportunities to participate in SCC members’ campaigns. Peterborough Environment City Trust (PECT) is an independent charity that is challenging and supporting the city of Peterborough and beyond to become cleaner, greener and healthier. Population Matters is a membership charity working for a global population size providing a good standard of living for all, a healthy environment and environmental sustainability. We carry out research, provide educational services and lobby for policies which lead to the stabilization and gradual decrease in population to sustainable levels. QUEST is now developing a programme of climate positive ‘green heartgratitude walks’ – the first was in partnership with the Women’s Institute; then to Balcombe walking from the 10:10 office in Camden; Caroline Lucas MP received her green heart in November and the next walk starts on December 9 from Oxford, along the River Thames to a London venue to meet with Christiana Figueres who has agreed to participate. The RSPB is the largest wildlife conservation charity in the UK. With more than a million members and nearly 20,000 volunteers together we speak out for nature. It says Birds in our title, but we're also about other wildlife — it's all interconnected and you can't help one thing without helping all the others too. ShareAction is an independent campaigning organisation, working to hold companies accountable to their real owners – the people who pay into a pension fund or ISA. The billions of pounds in our pensions mean that pension funds have a huge stake in UK businesses and this gives them an enormous influence over corporate behaviour. We campaign on human rights and environmental issues; from tar sands and Living Wage to Arctic oil and human trafficking. An active campaign group set up to encourage cycling and publicise its benefits. We are based in the East Kent area of the UK but have an interest in better conditions for cyclists everywhere. We publish a free quarterly newsletter in which we air our views and the views of others on cycling issues and ensure its widest possible distribution. St Nicks is the green heart of York: a centre for nature and green living. The charity started as ‘Friends of St Nicholas Fields’ in the 1990s by transforming a former landfill site into a thriving Local Nature Reserve. We are based at St Nicks Environment Centre which combines many green features. From this base, we offer ecotherapy and run projects, events and services which help to make York more sustainable. Swindon Climate Action Network informs people in Swindon and the surrounding areas about the problem of climate change and how to combat it. The Safe Alliance (The Safety in Fossil Fuel Exploitation Alliance) has come about because there is substantial evidence that indicates that the ‘dash for gas’ (in the UK and globally) is unsafe and irresponsible, both for this generation and future generations. The Wildlife Trusts want to help nature to recover from the decline that for decades has been the staple diet of scientific studies and news stories. We believe passionately that wildlife and natural processes need to have space to thrive, beyond designated nature reserves and other protected sites. Tipping Point Film Fund supports powerful cinema documentaries with strong call to action campaigns. We are a not for profit co-operative raising donations from individuals, groups and organisations in order to provide development and production funding, as well as campaign outreach support to each film. Our Primary Sponsor is The co-operative. Transition Town Berkhamsted are taking action so their town remains a vibrant place, both for now and into the future. They are making the town able to carry on regardless of external shocks, such as recessions, commodity price rises and climate change. Berkhamsted will be an example of what is possible, to help others get over their inertia, leading the way from high-carbon to low-carbon. TTB is part of the Transition Network, with over 1000 similar grass roots initiatives spread over the world. Wetlands are essential for life. The Wildfowl & Wetlands Trust (WWT) creates and protects wetland habitats to provide water, food and shelter for people and wildlife. We save species around the world from extinction; our nine UK Wetland Centres inspire thousands of visitors to enjoy being close to nature. 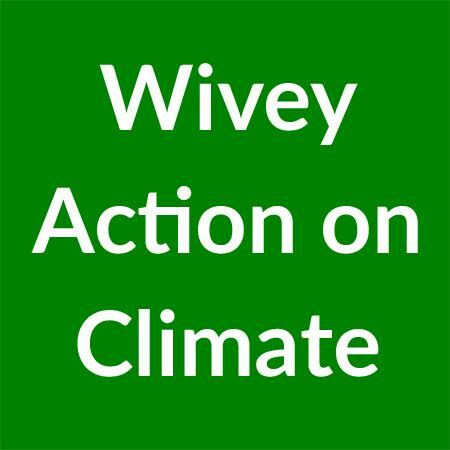 Founded in 2007, Winchester Action on Climate Change (WinACC) is a fast growing and effective network of local people, businesses, organisations and leaders, not aligned to any political party. We work together to tackle climate change and transform Winchester into a low carbon district where people consume only their fair share of the earth’s resources, and where our lifestyles are not jeopardising the wellbeing of our children and grandchildren. Our group was set-up in October 2014 and covers the Wiveliscombe area in western Somerset. We raise awareness, campaign and undertake practical projects. We also work with others in our rural community and with neighbouring groups. Our action on climate change is reported on our website and we publish a regular e-newsletter, distributed to a growing mailing list. The Women’s Environmental Network (WEN) is the only organisation in the UK that has worked consistently to make the links between women’s lives and environmental issues. WEN’s vision is of an environmentally sustainable world in which we have achieved gender equality. WWW aims for children to feel fully informed about climate change and passionate to mitigate its impacts. We offer unique perspectives of climate change, providing opportunities for children to meet people who have visited the Arctic and seen the impacts on the climate for themselves, and supporting teachers with up to the minute resources for lessons and assemblies using first hand pictures, stories, videos and other personally-gathered information. 999 Planet in Peril is an initiative to allow people to easily get involved in climate change campaigning and education. 999 Planet in Peril encourages people to organise local events to spread the word about climate change and has developed quizzes and games for use at home and in schools, like the ‘game for life’.